A well-balanced diet can improve fertility and reproductive success through several routes, most notably the number and quality of eggs, the environment for the developing foetus, and the health of the neonate. 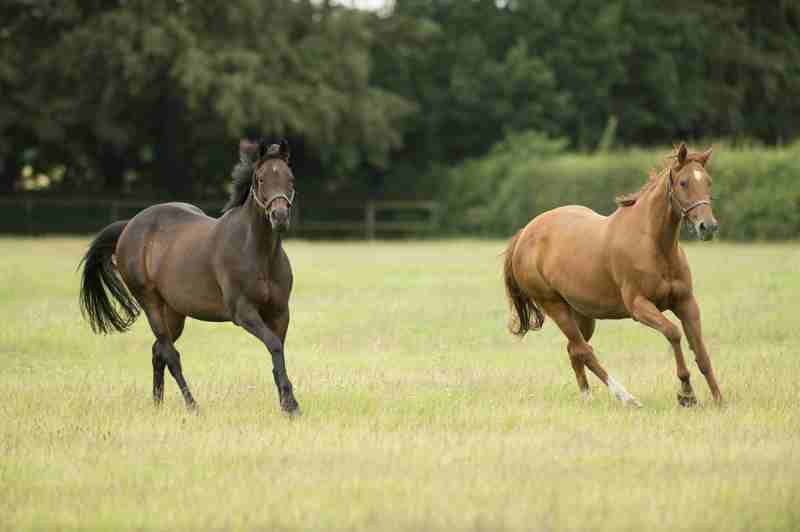 Research has shown a direct link between the effect of nutrition and body condition on reproductive efficiency in mares. Mares coming into the breeding season in good to moderate body condition (3-3.5 out of 5) start cycling earlier than mares in poor body condition and mares have better conception rates when in a rising plane of nutrition. Mares with poor body condition scores (<3) at mating have been shown to be more likely to suffer from irregular ovulation, reduced conception rates and an increased chance of early embryonic deaths. 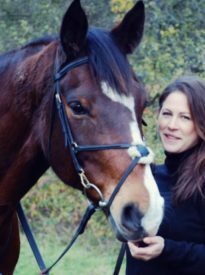 As many early embryonic deaths occur in the first 40 days of pregnancy it is a nutritionally critical time period, especially for the under-weight broodmare. 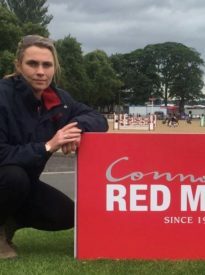 Young maiden mares which have recently come out of racing will have nutritional requirements above that of a mature broodmare as they are still growing. Some maiden mares returned out of training may be both underweight and stressed. Thin maiden mares should be fed so that they are gaining weight and in a positive energy balance coming into the breeding season. On the other hand, mares with high body fat scores (>3.5) have been reported to have reduced conception rates (Figure 1) and are more likely to suffer from longer oestrous cycles which can be due to a persistent corpus luteum, increased risk of abnormal follicle maturation and/or insulin resistance. Some obese mares can continue to cycle throughout the winter when typically the reproductive cycling is shut down. This affects breeding efficiency in the spring. 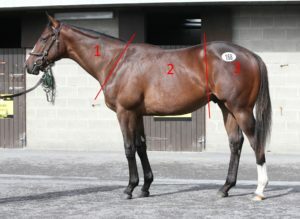 Obesity can lead to difficulties during foaling and may lead to non-pregnancy related insulin resistance (IR).Broodmares know to be suffering from IR prior to pregnancy may be at increased risk of reduced reproductive function and will need a low starch diet to help normalise insulin dynamics and provide sufficient, but not excessive, calorific intake. We recommend that you contact our Nutritional team for expert advice. 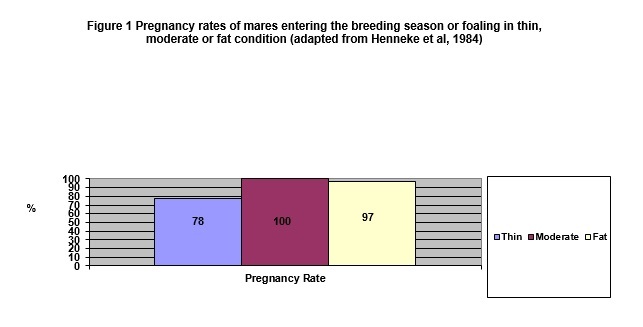 To maximise reproductive efficiency the mare should ideally be placed on a rising plane of nutrition three weeks prior to covering and should have a body condition score of 3-3.5 out of 5 at conception. Weight loss 4-8 weeks prior to the breeding season, or during the first 90 days of pregnancy, may negatively affect the onset of oestrus and increase the risk of early embryonic death. Therefore, the aim for mares that are overweight should be to maintain their current condition without promoting further weight gain. A nutrient-rich balancer such as Connolly’s RED MILLS Grocare Balancer or a broad-spectrum multivitamin and mineral supplement such as Foran Equine Chevinal Extra can be fed to ensure optimal micronutrients are provided. If needed, additional calories can then be provided by ‘topping up’ with a suitable mix or cube. Connolly’s RED MILLS Stud Cubes and Stud Mix will fulfil the nutritional requirements of mares in optimal body condition. Protein is made up of non-essential and essential amino acids. The latter cannot be made in the body and must be provided in the diet. Good quality protein is rich in these essential amino acids and plays important roles in fertility. 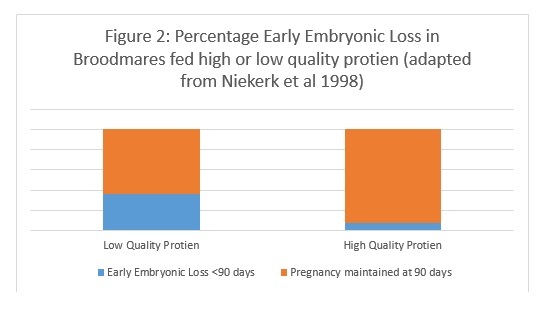 Studies have shown that mares fed a diet low in quality protein are more likely to suffer fertility problems including an increased risk of failure to ovulate and the risk of embryonic loss is increased fivefold (Figure 2). meal is the most common source of quality protein included in horse feeds and is used in all of Connolly’s RED MILLS equine formulations. In their uncooked state, soyabeans contain the anti-nutrient factor, trypsin inhibitor. Trypsin is an important enzyme involved in the digestion of protein. The trypsin inhibitor contained in raw soyabean prevents the digestion of protein within the soya when ingested by the horse. Connolly’s RED MILLS use state-of-the-art cooking techniques to remove this trypsin inhibitor and improve digestibility. Certain omega 3 fatty acids (i.e. eicosapentaenoic acid (EPA) and docosahexaenoic acid (DHA)) may help to improve the mare’s reproductive efficiency, increasing conception and live foal birth rates. They help to inhibit prostaglandin production, thereby prolonging the maintenance of the corpus luteum, which may be particularly useful for mares that have a history of abortion. In addition, omega fatty acids have also been shown to be very important for foetal development. Flaxseed oil such as Foran Equine Kentucky Karron Oil is a rich source of omega-3 fatty acids providing omega 6 and omega 3 at similar ratios to that found in grass. Foran Equine Kentucky Karron Oil has the additional benefit of being emulsified, which facilitates digestive lipolysis (i.e. the breakdown of fats) and subsequent fat bioavailability. There is increasing evidence to suggest that oxidative damage can have detrimental effect on fertility causing low oocyte quality, reduced conception rates and increase the risk of abortion. Dietary antioxidants help reduce free radicals that cause oxidative damage, thereby helping to maximise fertility. Grass is typically a good source of antioxidants (e.g. vitamin E) however poor weather conditions in the months leading up to the Thoroughbred covering season often means turn-out is limited and the mare may not be consuming optimal levels of all the essential antioxidants. Therefore mares may benefit from a specific antioxidant supplement such as Foran Equine V.S.L Liquid or Powder, which contains a blend of vitamin E and selenium (both powerful antioxidants), plus essential amino acid lysine. More recently, research in other species has focused on supplementation with Coenzyme Q10 to support female fertility. Although there are several Coenzyme Q10 supplements available studies have shown that the the Ubiquinol form of Coenzyme Q10 is the most bioavailability. Ubiquinol acts as a potent antioxidant helping to protect against cell damage caused by free radicals in many places in the body, including the ovaries and eggs. It is also involved in mitochondrial energy production, which may play a role in normal follicle development and pregnancy progression. Research in several other species has provided evidence that Ubiquinol supplementation may aid female fertility, particularly in aged individuals by delayed the depletion of ovarian reserve, improving the developmental potential of the oocytes and improving mitochondrial activity. Supplementation with Foran Equine Fertility Support, a scientifically developed stabilized form of Ubiquinol, may be of particular benefit for aging broodmares. Broodmares must receive a fully balanced diet as several essential trace minerals (copper, selenium, manganese, iodine, zinc, and iron) can influence reproduction. Lack of trace minerals or an imbalanced intake of minerals has been linked to reproductive issues in several animals. For example, low manganese intakes in ruminants is known to depress conception rates. All Connolly’s RED MILLS feeds contain a unique Pro Balance vitamin and mineral package to ensure your broodmares receive all the essential nutrients needed for fertility and reproductive health. Provision of a diet adequate in both macro and micronutrients is the foundation for equine fertility and reproduction. However, inclusion of supplemental nutrients, including omega-3 fatty acids and antioxidants, may contribute to the prevention of poor fertility parameters and improve reproductive performance.